Many users are running into iTunes error 3194 (iPhone could not be restored) when updating to iOS 12 or downgrading from iOS 12 to iOS 10, and Apple support forums are flooded with questions of how to fix iTunes error 3194. Googling "how to fix iTunes error 3194 successfully", you can find a raft of solutions to help solve iPhone error 3194 (error code 3194 in iTunes). After wrestling with the problem, it turns out to be that some of the fixes you tried don't work. Follow our solutions that work for 98% of users. It's a stress-free process to get iTunes error 3194 or iPhone error 3194 fixed. 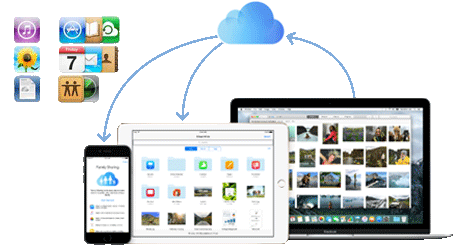 Free download MacX MediaTrans, an iTunes alternative for iPhone data backup and recovery, which can easily and quickly transfer, backup and restore data for iPhone iPad iPod touch without data loss. It helps you get rid of iTunes errors such as error code 3194, iTunes error 9006, iPhone error 50 etc. Fully compatible with the latest iOS 12, iPhone XR/XS (Max), iPhone X/8/8 Plus. What Does iTunes Error 3194 Mean? Error 3194 in iTunes or iPhone always happens when updating iOS or downgrading iOS or restoring devices, with a message saying the iPhone could not be restored, an unknown error occurred (3194), or this device isn't eligible for the requested build. Some users reported to run into iOS 12 update problems (error code 3194) using iTunes. The 3194 error code in iTunes means it can't communicate with Apple's software update server, which is similar to iTunes error 1671, error 17, error 1639, errors 3000-3020, and errors 3100-3999. * iTunes cannot communicate with Apple's update server. Outdated version of iTunes can lead to iTunes error 3194. * Your computer has network connectivity issues or wrong network settings. * Your device is not updating to the latest iOS. * You are using the latest version of iTunes - 12.8 on macOS High Sierra or eariler, or 12.9 on macOS Mojave. Note that iTunes won't sync ringtones and apps to iPhone iPad iPod touch since iTunes 12.7. * Your computer is running the latest operating system. On Mac, please update to macOS Mojave, while bundles with iTunes 12.9. * You have working internet connection as improper network settings can lead to iTunes error 3194. * You'd better backup iPhone to Mac or PC before you try any fixes to iTunes error 3194 or iPhone error 3194 in case of data loss caused by improper action. Make sure that your Mac or PC can contact the update server. To do so, check your hosts file on your computer, change its entry or delete it. Step 1: Go to Finder > Applications > Utilities > Terminal. 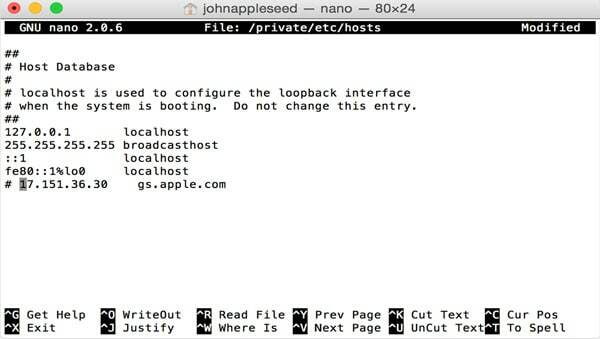 Step 2: Enter command "sudo nano /private/etc/hosts" and press Return. Step 3: Type password that is used to sign in to computer and press Return again. You'll see hosts file displayed in a window. Step 4: Use the arrow keys to navigate and find an entry, then add # and a space ("#") to the beginning it, and press Control-O. Step 5: Press Return and press Control-X to exit the editor. Step 6: Finally, restart your Mac. iTunes error 3194 should be fixed now. Try to update, downgrade or restore your iPhone iPad again. Step 1: Go to C:/windows/system32/drivers/etc/hosts to locate hosts file on PC. Step 2: Open the hosts file and add 74.208.105.171 gs.apple... to the bottom of the hosts file and save the change. Step 3: Connect your device to PC, open iTunes and try to restore or backup or update iPhone iPad again. This should fix iTunes error 3194 successfully. Check more details on how to reset hosts file on Windows. Some security software installed on your Mac or PC can prevent iTunes from connecting Apple's update server. Try these troubleshooting tips and tricks to fix error 3194 in iTunes. It also works for other iTunes errors, like iTunes error 9006, iTunes error 1671, error code 50 etc. Step 1. Close, update or uninstall security software on your computer. Step 2. Bypass your internet router from Apple. Step 3. Restart your computer and modem now to see if error 3194 in iTunes is fixed successfully. The last solution to iTunes error 3194 or iPhone error 3194 is to restore your device under DFU mode. Use these steps below to reset iPhone iPad. Step 1. Open iTunes on your computer, and connect your device to the computer. Step 2. 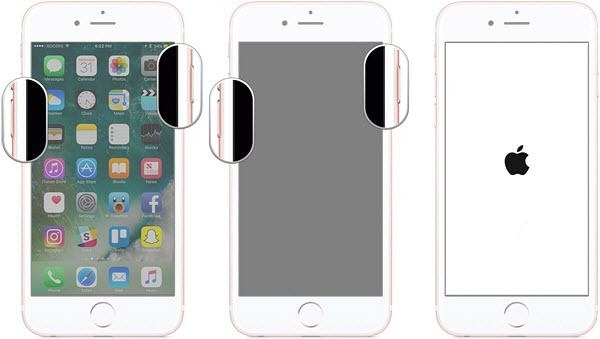 Hold down the Power button on iPhone or iPad and turn off the deivce. Step 3. Press and hold the Power button, as well as the Volume Down button for about 5 seconds. Step 4. Release the Power button and hold at the some button hold the Volume Down button for additional 10 seconds. Step 5. Your device should be in DFU mode now. The device's screen will remain blank. Step 6. Launch iTunes on your computer, and restore iPhone or iPad in DFU mode to check if iTunes error 3194 is solved. This method works for jailbreaking iPhone or iPad that downgraded to an older iOS. The program allows you to preserve SHSH blobs for iOS installed on your device. Here's how to fix iTunes error 3194 successfully with TinyUmbrella. Step 1. Go to TinyUmbrella official site, download it for Mac or Windows. Step 2. Open TinyUmbrella, connect your device to your computer. Step 3. After the device is detected, all the SHSH blobs in your device auto download. Step 4. Put your iPhone or iPad into DFU mode, and try to update or downgrade your device again. iTunes error 3194 or iPhone iPad error 3194 is properly fixed successfully in this way. Fix iTunes Errors like iTunes Error 3194, 9006, 50 etc. MacX MediaTrans, the best alternative to iTunes, can backup and restore iPhone iPad iPod touch without using iTunes. Support for a wide range of file types, support the latest OS, including macOS High Sierra, iOS 12, no iTunes error 3194 or iPhone error 3194, 9006 or 1671 etc.